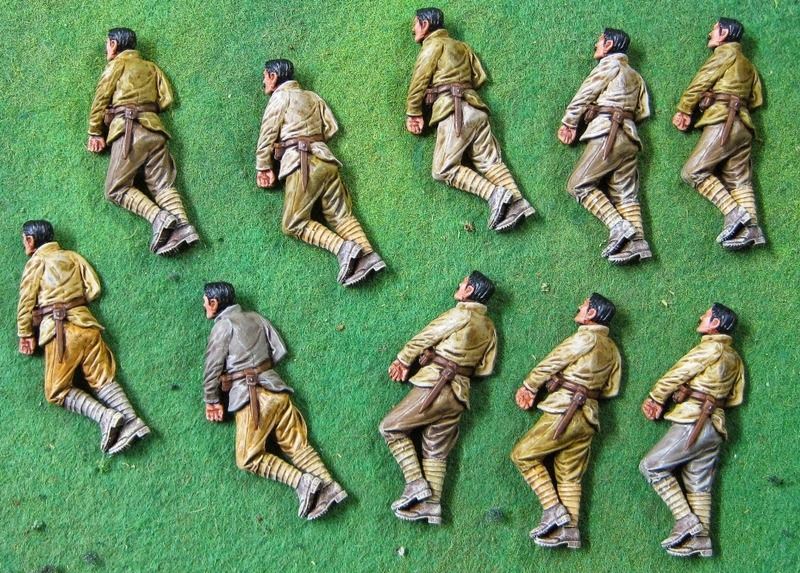 Scott from Kapiti has posted these pics of his latest Turks on his wargaming blog. He is really pleased how this batch has turned out, and thinks the varied tones make for a good 'on-campaign' look. They certainly look superb! They are all wrapped up, bubble wrapped and boxed up, with the first ten that he did, and ready for delivery to Sam at Kapiti Wargaming Club. So that's 20 troopers and 10 casualties he has painted so far... and a free weekend to send the brush back towards his own projects until more figures arrive - though he thinks the garden is desperate for a little TLC too! "We are half way through the month now, with a fortnight to go till the month's end and the deadline," says Scott, "I'd like to think I could probably get another 10 figures done in that time, all being well."